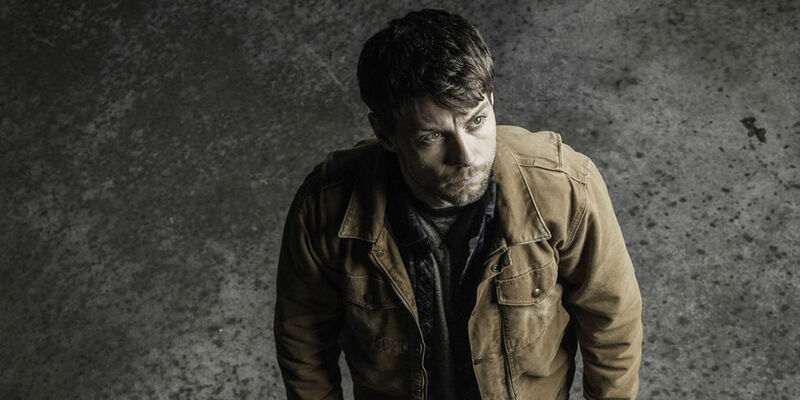 Patrick Fugit on "trying to get everybody back to where they can fight the darkness" in Outcast season two – AiPT! Outcast star Patrick Fugit reveals new details on the Robert Kirkman series’ second season. Outcast season two aired in the UK back in April 2017 but fans in the US have been patiently waiting over a year to see it released here in the states. July 20, 2018 will be a joyous day for fans of the Robert Kirkman creation, as Cinemax plans to premiere the second season at 10PM ET/PT that Friday night. Patrick Fugit, the star of the possession thriller, sat down with AiPT! and a couple other members of the press to talk about the upcoming second season of the show. We learned some interesting nuggets regarding season two as well as a few other random facts including that he plays Dungeons & Dragons and is a DM (Dungeon Master) among his group of friends out here in LA! Right off the bat, Fugit was asked what he’s looking forward to the most in season two. PF: I think some of the most exciting stuff is seeing the fallout of the decisions made at the end of season one. There’s some stuff that’s extreme decisions, good ones, bad ones…really bad ones, and then horrible accidents and stuff like that. Season two is trying to get back to level, trying to get everybody back to where they can fight the darkness and that sort of thing. There’s a lot of consequence to be dealt with. I’m looking forward to seeing the scale of this conflict. At the end of the season, you start to realize as Amber and Kyle try to bail out that this possession phenomenon is much more broad spread than Kyle would have thought. He goes back to Rome because he realizes leaving town isn’t going to work. He was then asked if it was always the plan to have Kyle and Amber return to Rome in season two? PF: Yes. I think he (Robert Kirkman) likes the idea that it’s a large scale but a small town. All the evolution of the characters and everything happens in Rome. You don’t split the party when you play D&D (Dungeons & Dragons) because then the DM has to worry about two separate realities. I felt like this was similar, it was kind of interesting that Kyle has to leave but it always had to be the good versus evil in this town. AiPT! : Before you did this show, were you always interested in supernatural occurrences or not really? PF: No. Actually, when I got the script I was looking at the cover sheet and it was like “Robert Kirkman, Walking Dead,” I thought “awesome.” You know what that is right away and you’re like “ok cool.” And then it was like “this new show’s about possession,” and I was like “ehhh possession.” I was not, to be honest, terribly interested because I’d seen possession stories as a kid, I’d watched The Exorcist (it’s awesome), and then saw a few more perspectives on that same template. You know? So it’s very familiar, I know what possessed people do and I know how you fix it and then everything’s good. And so I read the script. I think they had three episodes prepared. So I was able to read the first episode and then the next two. They were rough scripts for the second two. And I was able to determine that this was not really a possession story. This is going to shift everything. It’s using the familiar template we’re used to and then subverting it or turning it on the audience which I enjoy. I think it’s a fun way to look at it. Season one of The Walking Dead is kind of the same thing. AiPT! : It feels like they use possession in Outcast and the zombies in The Walking Dead almost as the familiar territory but then obviously there are so many stories that come out of that. PF: Yeah, it’s really about the characters. Since doing the show, have you become more interested in that stuff (the supernatural)? He then went on to talk a bit about his career path and how he looks at choosing roles. AiPT! : I’ve got a little plot question. Maybe you can answer, maybe you can’t. We’ve seen the first three episodes of the second season. There’s a scene where Amber is at the mental hospital and there are these two people who corner her. It’s a very creepy scene. Is that going to become a big point in season two or is it a small subplot? Fugit was asked if this is the first comics adaptation that he’s worked on. PF: I think Wristcutters originally was a graphic novel. He then expanded on what it was like working on Outcast from that comic book angle. PF: It was interesting. When the audition came around, I think there were three or four comics of Outcast out, so I read them. They’re pretty similar to the first episode (of the television show). Then they go on their own journeys after that. AiPT! : Correct me if I’m wrong, but I believe when Outcast started being written, Kirkman was already trying to get this television deal. PF: Robert’s a lot of fun to work with and his whole crew at Skydown Comics are some of the coolest, most creative people I know. They really care about content and they really care about their tribe. It’s a refreshing way to run a business that they have going on over there. It’s cool stuff. We then all geeked out (Patrick included) over his love for D&D before he took off. PF: Yeah, so probably 3 or 4 years ago, my god brother…I was home for Christmas, my girlfriend and I were staying with my family…we started talking about D&D and I was like “It looks like a lot of fun, it basically looks like an acting exercise.” I knew he was a DM, so I was like “Do you want to play a small campaign over the Christmas break?” And so he came to our house every other night for that break and we were just playing Dungeons & Dragons. And I was like “This is f-----g excellent!” I had no idea. When you’re growing up, this geek stigma is attached to it. It is some of the most useful cognitive elasticity building that I’ve come across. It’s an acting exercise, it’s also problem solving, creativity, and interactivity and social interaction. I think every kid should be playing and every adult also. Outcast season two premieres on Friday July 20, 2018 at 10PM ET/PT.